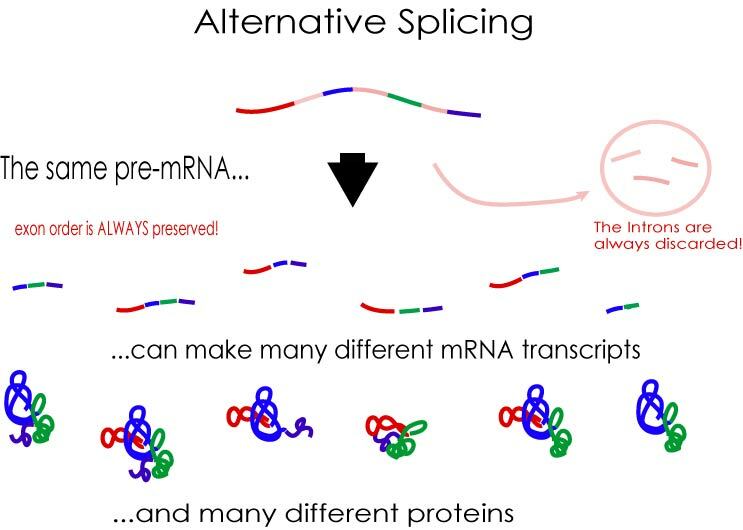 Schematic depicting mechanisms of splicing activation. a | SR (Ser–Arg) proteins bind to exonic splicing enhancers (ESEs) to stimulate the binding of U2AF to the upstream 3' splice site (ss) or the binding of the U1 small nuclear ribonucleoprotein (snRNP) to the downstream 5' ss. SR proteins function with other splicing co-activators, such as transformer 2 (TRA2) and the SR-related nuclear matrix proteins SRM160–SRm300. T cell-restricted intracellular antigen 1 (TIA1) binds to U-rich sequences (intronic splicing enhancers (ISEs)) immediately downstream of 5' splice sites to facilitate U1 binding. CELF (CUGBP- and ETR3-like factor) proteins, such as ETR3, bind to similar sequences as polypyrimidine-tract binding protein (PTB), thereby activating splicing by competing with PTB. b | FOX1 and FOX2 inhibit the inclusion of CALCA (calcitonin-related polypeptide-alpha) exon 4 by blocking the binding of splicing factor 1 (SF1) to the branch point (top panel) and of TRA2 and SRP55 to ESEs (bottom panel), thereby inhibiting spliceosome assembly at two stages, the E' and E complexes. The arrow indicates that SRp55 and TRA2 promote binding of the U2AF complex. c | Single-nucleotide differences in SMN2 (survival of motor neuron 2) compared with SMN1 create binding sites for heterogeneous nuclear ribonucleoprotein particle A1 (hnRNP A1) (or hnRNP A2) in exon 7 and in the downstream intron in SMN2 pre-mRNA. hnRNP A1 (or hnRNP A2) may then inhibit the formation or stabilization of the U2 snRNP complex, either directly or indirectly by blocking the activity of the downstream TRA2-dependent ESE. Note that it has also been suggested that the base change in exon 7 destroys an ASF/SF2-dependent ESE163, 164 (but see also Ref. 69).